The Holy Grail? For a mobile and active person? 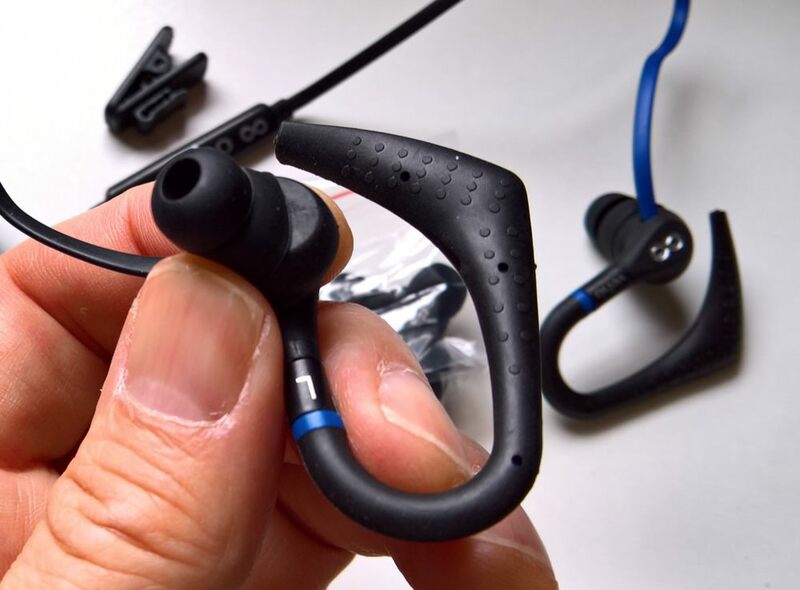 Whether walking, running or cycling, the ultimate smartphone headphones should be slimline, produce audio quality as good as cushioned over-ear monitors, while sticking in place whatever contorted positions you get into or whatever vigorous motion you've involved in. That's a tall ask, yet I think I've found something that fits the bill. This is the new ZS-3 from Veho. Best of all, they're only £30 (in the UK), amazingly, so they don't break the bank. My previous favourite headphones were the Rock Jaw ALGA GENUS V2 (review), which are stunningly clear but with a bass rendition that's on the verge of 'not good enough', and for vigorous sports (e.g. running), the Microsoft WH-610 (a.k.a. 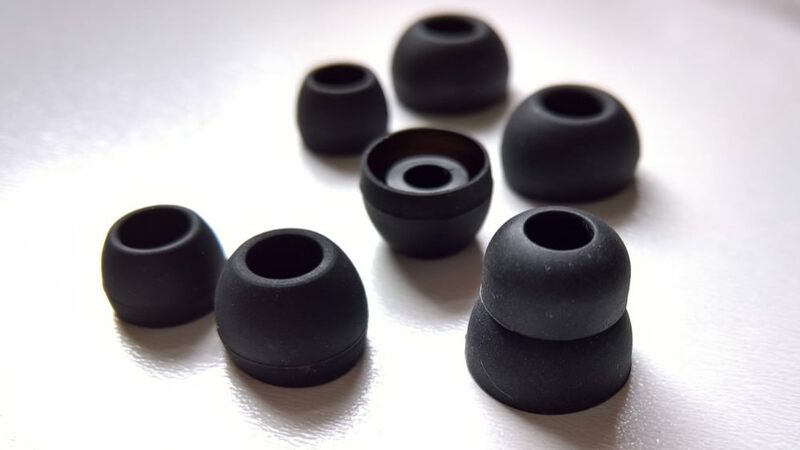 Coloud Hoop) (review), which have fairly average sound but do stay in the ear pretty well. But what about the best of all worlds? 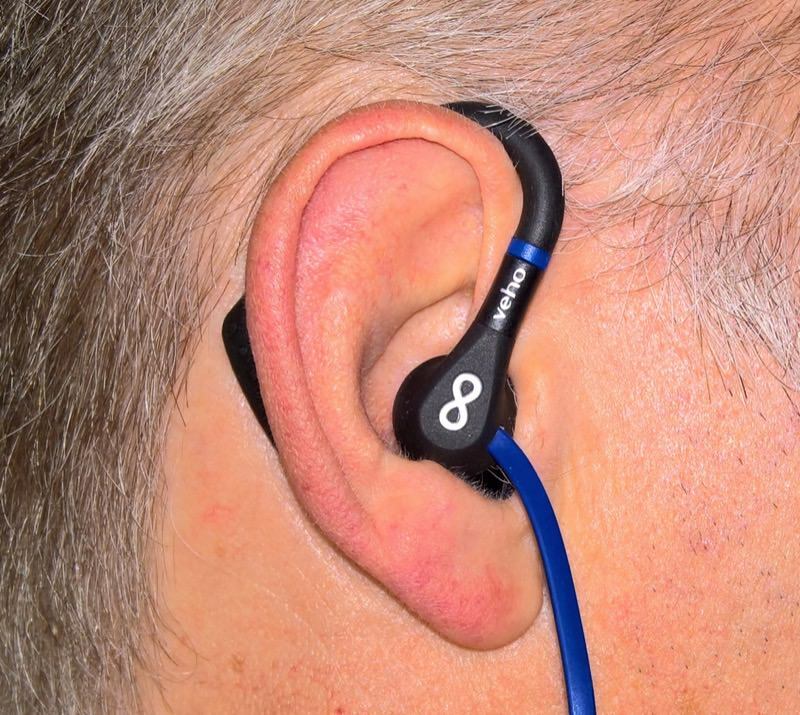 Sumptuous bass, secure fitting in the ear, and hey, let's make it waterproof as well. And add in an analogue volume control for instant changes to either music or a call in progress - useful when you were listening to heavy metal while running and then someone barely inaudible calls. Job done. Veho's latest iteration on their patented hook design (which I hadn't seen before) manages to tick all the boxes above, making it rather incredible value. You've got to get over the slightly odd look (at least when off the ears) and the very slight extra bulk in your pocket as a result, but it's a win-win from then on. In the box is 1m 'flat'/tangle-proof lead, dual coloured with a blue side that stands out in a case or bag. 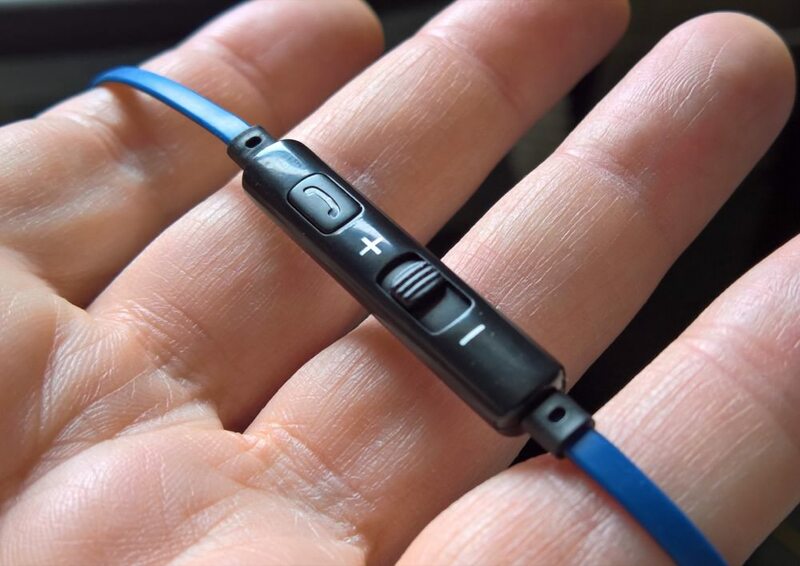 There's a retaining rubber strap, plus a small spring loaded clip to keep the headphones attached to your shirt, a set of spare earbud tips (of which more below), a control module (ditto) and finally the hooked headphones themselves, clearly marked as 'L' and 'R'. Now, there are a couple of trivial hurdles to overcome - for me, at least. Firstly, the double-flanged earbuds that came on the ZS-3 out of the box were a terrible fit for my largish lug-holes. So off they came and the largest of the supplied spare set were popped on - and a perfect fit! You'd have thought that the double-flanged design would be carried through all the sizes but apparently not. Anyway, it's no matter since I found a perfect fit anyway - helped by the way the hook system helps keep the earbuds firmly in the ear, even when running or walking. 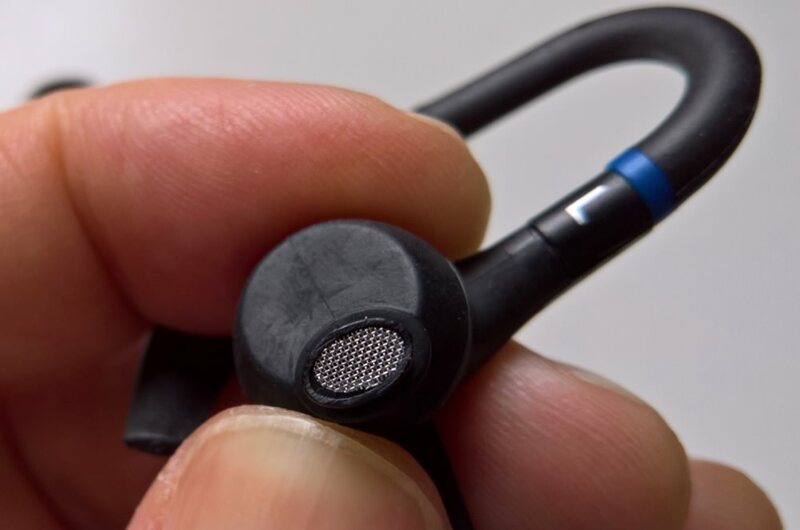 The body of the ZS-3 headphones, for each ear, is much larger than the (unusually) oval output grille, I'm assuming that this is a big factor in the sound quality, since the bass 'driver' can be larger in diameter (in this case, a full 1cm) than you normally get with in-ear 'phones. The second hurdle was getting used to 'mounting' the ZS-3 on each ear. The instructions that come with the set talk about swivelling back the over-ear hooks, inserting the earbuds and then swivelling the hooks back and over. Hmm... I just couldn't get the hang of this. Instead, I learned to guide each hook/bud into and over the ear at the same time - foolproof though it does need two hands to accomplish. So that might be a limitation if you need to insert these on, say, a busy tube train, hanging from a strap? The control pod is very unusual, in that the volume slider is 100% analogue, i.e. a variable resistor in line to the audio signals going to the ear drivers. As opposed to digital control signals through to the host smartphone, which is how most other accessories handle this, with the result that compatibility varies wildly between phones. The analogue system here ensures that the ZS-3 will work with everything, in theory. And so the bit that matters - the sound quality. The bass is unbelievable. When you have the ZS-3 snug in your ears and you put on some decently encoded rock (or similar), you'll swear that you're listening to quality over-ear headphones. At the other end of the frequency spectrum, the treble is good enough - and can usually be boosted further in software for really 'crisp' percussion, for example. But it's the bass that impresses. 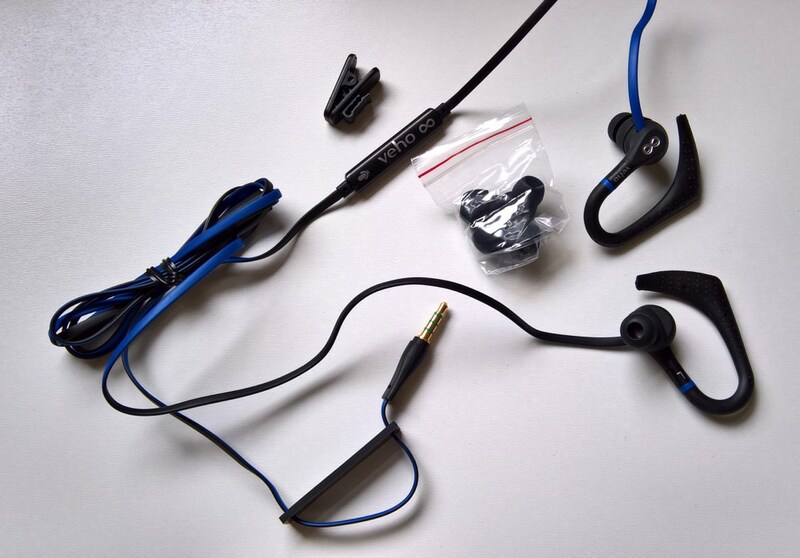 Without it this is just another set of 'sports' smartphone headphones. With it, these are transported out into domestic or even studio realms - it's that good. Power walking along, I found I needed just a touch (5dB or so) of boost to the highest frequencies to be in mobile audio nirvana. The cliche in headphone reviews is that the reviewer heard instruments 'that they had never heard before' - with the ZS-3 and their 10mm speakers I was most definitely hearing bass lines and subtleties that I hadn't really appreciated - at least not from truly portable headphones. 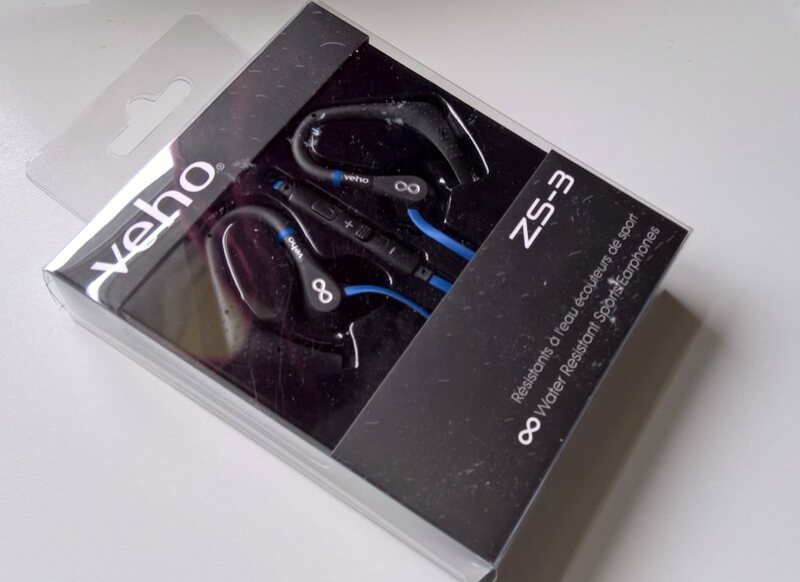 If you feel that you can master the hook-mounting system, then the Veho ZS-3 are well worth a look at less than £30 in the UK.